Continuing on from book one, ‘The Big Event‘ in the Friendships Online Short Story Series, Author Constance asks her friend and author Estelle to go for a weekend spa break with her, using the gift voucher that Estelle gave her for a Christmas present. The two have fun together, finding out lots of things they didn’t know about one another and realising how similar their lives are. However, the weekend doesn’t quite end the way they were hoping though, with Constance getting the shock of a lifetime with a showdown with a stranger that puts her life into perspective. 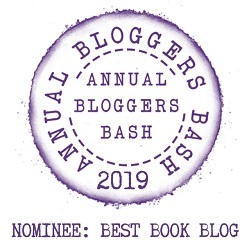 I loved the first book in the series and was eager to get started on this one, which was slightly longer and mainly involved just the two characters, Constance and Estelle, with the others from the first book getting coverage via Instagram posts at the start of each chapter. It was lovely to find out more about the two authors, their lives and how they were leading quite similar lives. Especially when it came to their sons. I love a good spa, and the place they stayed at sounded amazing. This is a warm-hearted, beautiful short story that is character led and was just a real pleasure to read. I now can’t wait for book three now. Hopefully, some of the other authors will feature more. Anne has always loved stories and read many books as a child, including the entire Sweet Valley High and Caitlyn series. Her interest in writing fiction came years later, when she began writing for pleasure in 2007. Since then, Anne has been writing on and off and enjoys participating in writing groups. Twice in 2014, she proudly won the monthly Novelicious Pintrest Prompt Fiction Competition. To mark the release of part two in the friendships series, I’m giving away a Sanctuary Spa gift set and a signed printed and binded copy of The Weekend Spa Break to one lucky winner. 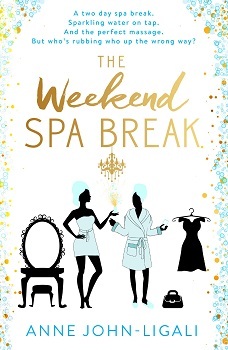 At present, there are no physical copies of The Weekend Spa Break available, so this is a treat. To enter you only have to do is visit my Twitter page @AnneJohnLigali and retweet the pinned tweet showing this GIVEAWAY. A winner will be chosen at random by Tweet Draw and announced on Saturday the 19th of May at 20:00hrs. Competition is open worldwide. Good luck! I fell for the cover. Will sure to pick this up sometime. That book cover is wonderful! I really must look into this series, it sounds great. Sounds like a cute book! The cover is just too darn cute! Love a spa day!!! Great review! I do love spa days! Glad you enjoyed the book. Great review, the cover is really cute this book looks and sounds like a fun book I’m glad you are enjoying the series. Thank you so much for sharing your awesome post.